I've been testing quite some all-in-one meal shakes, ranging from Nano to Jake and now also Queal. I wonder what the reason is behind the 3 in one serving? If it is meant as one 'bag' a day, then you're drinking the same stuff all day long. Not a great idea. If it is meant as scooping out 1/3, then it's super impractical. How do I know what's one third? What's the reason behind 3 in 1, am I missing something? To me it's a no-go for the future if I can only buy them as 3 servings per bag. If it is meant as one 'bag' a day, then you're drinking the same stuff all day long. As a reminder, you're not forced to go 100%: a lot of people only replace some of their meals. For example I only use it for lunches, and only on workdays, because it's cheaper, healthier and more convenient than buying a sandwich or eating out. But when I have time to cook (i.e. for dinners and weekends), I eat regular stuff. By measuring: either counting the number of scoops (there are indications on the manual you receive along with your powder), or by using a scale to portion it out. As a reminder, you're not forced to always eat 1/3 of a bag, as 700 kcal might not fit your diet: you can adjust how much powder you're drinking depending on your needs. For example, I usually prepare small zig bags with either 100g (400 kcal) or 150g (600 kcal) because I find it easier to plug them into my diet than the regular "1/3 of a bag" 700 kcal. FYI there are other brands that sell individual meals, either as "ready to drink" (i.e. already mixed for you) or single meal powder bags. If you're looking exclusively for individual pouches (and don't want to portion your kcal either), perhaps you should try them out? For me it works for days when I´m busy. I'd be working on the road as an account manager for one full day and would like to replace 3 meals by a Queal. I guess no one likes to drink the same shake for 3 meals in a row. I´d have to bring 3 bags if I´d like to have 3 different flavors? Also the portioning of your kcal, can be done with a 'single meal bag' just as easy as with a 3 in a meal bag. Every argument for a 3-meal bag would also count for a 1-meal bag. But not vice versa. I've tested most brands now. But I like Queal the most because it has many more flavours. It's just very impractical having to bring that much powder for a day, scooping stuff over, measuring.. etc. Will there be a day we can buy one-meal bags too? Hey, thanks for the great discussion point! We're definitely not ruling out doing single-meal pouches in the future. Less packaging material is better for environment and for your wallet. A fair amount of people split a bag into 4 or even 5 smaller meals. I'd love to hear some more people's opinion on this though! It's just very impractical having to bring that much powder for a day, scooping stuff over, measuring.. etc. I´d have to bring 3 bags if I´d like to have 3 different flavors? Also the portioning of your kcal, can be done with a 'single meal bag' just as easy as with a 3 in a meal bag. Portioning like I do is easier with big bags than small bags. If they were to make 700 kcal single meal bags, I'd have to open 3 of them to make my usual 5x400 kcal zip bags (which is convenient for me, because it's the perfect amount for 5 weekdays, so I just prepare them on Sunday and bring them in on Monday, and done). It'd be both a waste of packaging material, and of storage space, because it's usually easier to stack big bags efficiently than small ones! I'd actually argue the other way and prefer bigger bags. For example, when I buy Whey Protein, I usually can choose between 1kg, 2.5kg and 5kg pouches. If Queal were to do the same, I'd always buy 5kg because it'd probably be cheaper, I don't care about size since I portion everything anyway, and it'd mean less package waste. I guess no one likes to drink the same shake for 3 meals in a row. Every argument for a 3-meal bag would also count for a 1-meal bag. But not vice versa. ...yet I just did that? At the risk of offending your sensibility, I must say: I think you are very self-centered. Just because Queal does not offer single meal pouches though this'd be more convenient for you, doesn't mean others must agree. You are entitled to your opinion, but please, do not try to dismiss others'... that's a good way to get them not to listen to yours anymore. tl;dr: You prefer single meal bags because of your reasons above. I prefer bigger bags due to the reasons above. And that's cool. I'm also all for more options, so if it was sustainable for Queal to offer variable size packages, that'd probably be the best thing for everybody! A drinkable meal must be easy to bring with me, quick to prep and tasty. I'm fine with the 3-meal bag. Another spoon size so that the number of spoons for one meal = an integer number. This would be easier than 3.5. This spoon design could be over-engineering Another fine option would be simply a cylindric bottle than is wider but less tall -> same volume, but easier to pour powder. JimmyJoy have such a bottle, and it's a little easier to not spill in a hurry. I may be wrong but I think the latest scoop (the smaller one) is designed so that it takes 5 scoops to get 1/3 of a bag. Another fine option would be simply a cylindric bottle than is wider but less tall -> same volume, but easier to pour powder. JimmyJoy have such a bottle, and it's a little easier to not spill in a hurry. Preach, brother! Queal also started out with that exact same bottle, and I agree it was better. Though, if you want to continue discussing that, I think you should post in the Shaker Feedback thread instead. I would like to have bigger bags with 1 or 2 kg if they´re cheaper than the same amount in small bags. I use the spoon to portion. And i vary the amount of powder with every serving. Often i mix two flavors like choclate or vanilla with coffee. I don't think 3 servings per bag is the problem. The problem exists in the fact that you cant get it out in a good way. My girlfriend scoops it, I pour it. Its a mess either way. With the scoop you need to get your whole hand in there, and spill with taking it out because there is powder on your hands and on the outside of the scoop. When pouring it, it comes out on the edges of the bag. But how do you measure the correct amount when using a spoon? And how do you measure when pouring powder? You pour in the scoop?!? Not sure if you're for real or not but I'll answer. I measure correct amount using kitchen scale. That is only way to measure correct amount AFAIK. 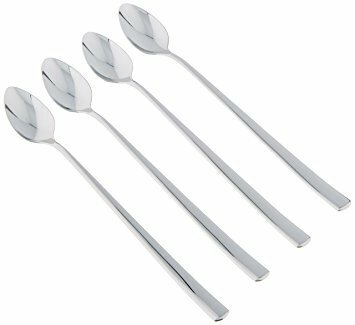 If you prefer counting scoops or spoons (which is not correct amount), measure spoon count once or twice on the scale and then count the spoons in the future. I make a whole bag for the day and put the giant mug in the fridge and pour myself 5-6 meals out of it. Why not make bigger bags? One brand I sometimes eat (Satislent) has seven-meal bags. I bet it's cheaper due to less bags and more environmentally friendly, too. I love the "pouch a day" set up! Way back when I first started using Queal I tried a variety of different European suppliers of meal replacements. I found the "pouch per meal" types had a lot of packaging/waste/space taken up, and meant each meal was a set size. I found the "pouch per week" meant a lot of hassle trying to measure out how much powder I was using on a daily basis and, no matter how carefully I measured I ended up with too much or too little at the end of the week. Sure, I can't easily mix up flavours on a daily basis but, for me, the benefits far outweigh the potential downsides. Obviously we all have different ways we judge what's important to us, but it's not impractical for me, and, from the other replies, some others as well. Thanks for the feedback @Plusi and @phyphor! I would like to have bigger bags (1 - 2 kg) for home use. But the pouches with three meals are very usefull for taking on journeys or for trying new flavors (LE). So please offer both.